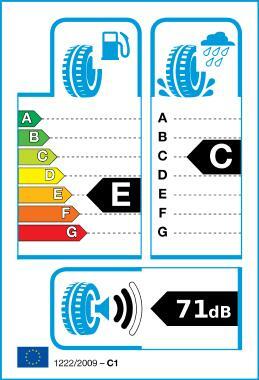 With its asymmetric profile, AS-1 tyres can successfully unite quiet driving, sportiness and safety. The silicone compound in the tread ensures better handling in both wet and dry conditions, reduced rolling resistance and a high mileage. In order to get the better drainage efficiency, two straight road grooves are applied on the outside. To enhance the safety on the wet ground, the stream in the middle groove is used to accumulate the water with the assistance of fine sipe bar to divert the water for a safer drive. To increase cornering force on the outside, the shoulder-high rigidity pattern to strengthen cornering force and enhance the steering ability. Unique straight grooves on the shoulder make the whole tread more rigid and prevent it from irregular wear. The evenly thin sipes reduce the road impact and enhance the comfort when driving. In order to get the best silent features, the tread pattern is using two-in-one and multi-pitch design..